In this post, I’m going to reveal to you how to use turmeric for your cat, whether it’s safe or not, and if so, the right dosage to use. You need to understand that turmeric is completely safe for humans, dogs and even cats (from my own experience since conclusive studies are nonexistent); however, you need to respect the right amount in order to avoid side effects and complications. This is the truth, there aren’t many conclusive studies when it comes to using turmeric for cats, in fact, most studies are geared towards humans and the few pet studies we have related to turmeric are related to dogs and other farm animals, but when it comes to cats, I have to be completely honest with you, the studies are extremely rare. 1 Is Turmeric Beneficial To Cats? 1.1 Is Turmeric Safe For Cats? 1.2 Is Turmeric Poisonous To Cats? 2 What Conditions Is Turmeric Good For When It Comes To Cats? 2.1.1 What If Your Cat Is Already Suffering From Cancer? Is Turmeric Beneficial To Cats? When it comes to using turmeric for cats, the jury is still undecided, although there are hundreds of people who swear by its health effects and safety when it comes to our feline friends, as previously mentioned, scientific studies are still lacking, but from what people have experienced and noticed, and from my own experience with our two cats, I can definitely say that turmeric is very beneficial for cats. Use this powerful Turmeric Immune System Booster For Cats to increase your feline’s resistance to chronic diseases, parasites and infections: Click Here! Is Turmeric Safe For Cats? Turmeric contains a powerful organic compound called curcumin, it’s the one responsible for shrinking cancer cells and many benefits associated with turmeric consumption. Yes, cats can eat turmeric, however, because we do not have many information on how their digestive system deal with this spice and whether it can have long-term effects or not, in my opinion, I recommend that you do not give your cat high amounts on a daily basis, use it as medicine and when needed, as a preventive remedy. At home, turmeric is given to our cats only when there are problems, for example, when they have wounds, we live near some big trees and our cats go to adventures almost daily, or when they have intestinal issues, it helps them tremendously. Is Turmeric Poisonous To Cats? Turmeric is not toxic to cats; however, you need to be careful because, according to the FDA, many brands have high lead concentrations, which have led to many recalls, Gel Spice, Inc. and Spices USA Inc. to name a few. Turmeric powder should not be contaminated with lead, however, growers are intentionally adding this toxic metal to increase weight and enhance color. Lead is also added to hide imperfections such as pest attacks and bruises. When buying turmeric powder, always make sure you are choosing reputable brands and only get the organically grown ones. Curcumin is the compound responsible for giving turmeric its bright yellow color. When you buy for example turmeric supplements, you are probably getting curcumin, it’s also present in cosmetic products and is used as a food coloring as well. To humans, a dose of up to 8 grams per day showed no toxicity, apart from some very few patients who reported diarrhea or feeling nauseous, however, for cats, because of their smaller weights, and also because of their carnivorous nature, curcumin dosages should be extremely minimal in order to avoid toxicity. What Conditions Is Turmeric Good For When It Comes To Cats? These have long been studied and reported in scientific journals, for example, Duke University found a large number of citations, more than 700, for curcumin and cancer, observing that turmeric was effective in the prevention and/or also the treatment of different types of cancer such as: prostate, colon, liver and breast cancer. Using turmeric powder is a great way to prevent different health issues like cancer and diabetes if you cat is at risk, if it’s overweight for example. If your cat has been diagnosed with cancer or if you would like to prevent your cat from developing cancer, then you need to start giving it turmeric at least once a week. In fact, Colorado State University’s Animal Cancer Center researchers are assessing the possibility of using curcumin to treat feline cancer. You must understand that turmeric is a very powerful spice, and it’s not a question of taste, it’s a question of health benefits. Turmeric contains active compounds such as curcumin which are responsible for its anti-inflammatory and antioxidant activities. Many studies have also pointed to curcumin as being a powerful anticancer compound. You can consider curcumin as one of the most powerful antioxidants in the world, and turmeric contains about 4%, which is huge! I’m sure that you already know about antioxidants and how they are vital to our health, but do you know how important are they for cancer prevention? Antioxidants are simply going to protect cells’ DNA from damages, and without this protection, a healthy cell can turn into a cancer cell that’s going to divide haphazardly and cause a tumor! The same thing is going to happen in cats as well, with their rich diets and sedentary life, their bodies are going to be exposed to a lot of oxidative stress, in other words, free radicals are going to attack their cells’ DNA, and this is going to increase their cancer risks dramatically. 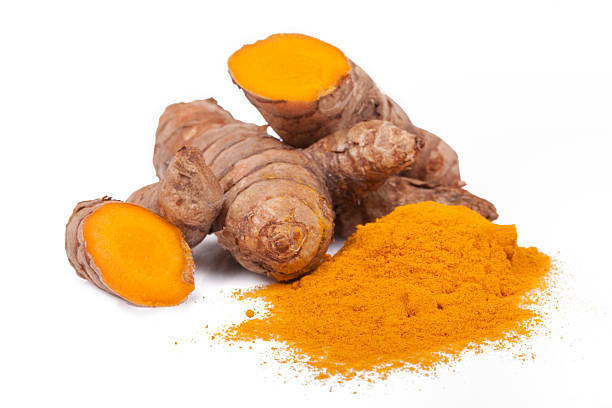 By giving your cat turmeric at least once a week, you are going to prevent cancer in theory, because let’s not forget, there aren’t a lot of studies done in relation to turmeric and cats. What If Your Cat Is Already Suffering From Cancer? A friend of mine had a cat which was suffering from lymphoma, it lost weight rapidly and was very weak and in pain all the time, my friend decided to give up buying junk food for her cat and to only prepare homemade meals, to which he added turmeric powder daily. His cat slowly but surely started to recover and lived to be sixteen years old until she died two years ago. This may be a coincidence, but a lot of studies have shown that turmeric, especially curcumin, is very powerful against human cancer cells, so, you have nothing to lose, it’s very easy to use and cheap as well. 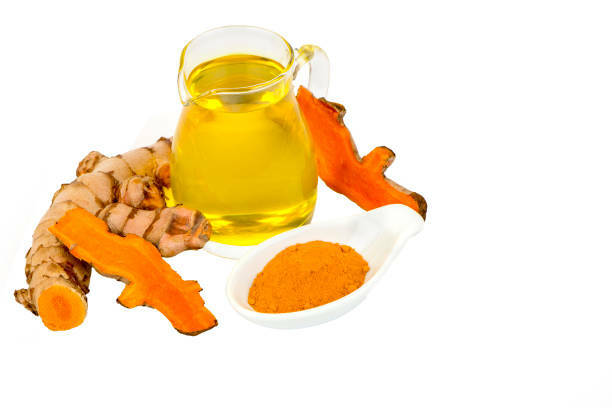 Moreover, turmeric is going to stimulate and increase immune function, in other words, your cat’s immune system is going to fight off cancer cells much more efficiently. If your cat is suffering from Eosinophilic granuloma, the most common form is eosinophilic plaque, which is a very common skin disease, then you need to sprinkle turmeric on its food daily. Although turmeric is not going to help directly with Eosinophilic granuloma, however it’s going to reduce it because this skin condition is after all an inflammatory disease, and the less inflammations your cat has, the less Eosinophilic granuloma is going to be visible. Indeed, according to Wikipedia, autoimmune disease can be one of the main causes of this skin problem, and as you may already know, the immune system uses inflammations to attack the body, and as turmeric is very rich in anti-inflammatory compounds, it can be very helpful for cats with Eosinophilic granuloma. Cysts can be of inflammatory or bacterial origins. This means that the skin is going to have either a tumor or pus, liquid, in it. By giving your cat turmeric daily, you are going to lower inflammations while also lowering cysts’ size considerably. Of course, you need to consult with your veterinary before attempting to give your cat turmeric as there are many effective treatments, such as surgery or drugs that can be used in order to rid your cat of a cyst rapidly. Usually, diabetes affects 1 in 230 cats, however, veterinarians have found that the rates are rising dramatically. In fact, when I first wrote this article in 2015, it was 1 in 400 cats! It’s because cats are no longer eating healthy foods that are suitable for their natural diets, even worse, cats are spoiled in my opinion, they have access to food all day long, and they don’t move that much, in other words, they look just like most of us, overweight and sedentary! In nature, cats only eat once or twice (if they are lucky) a day and they keep moving a lot in order to avoid predators and to also find food; however our sedentary cats are becoming lazier and are also consuming larger amounts of calories every single day! This increases their diabetes risks a lot. Diabetes is first of all an autoimmune disorder, pancreatic cells are going to dwindle in number and abilities to produce enough insulin and this is the reason why people and even cats get type II diabetes in the first place. If your cat is overweight, you need to start giving it turmeric at least once a week as it lowers inflammations and thus decreasing diabetes risk. If your cat is suffering from yeast issues and infections, then you must give it turmeric as well, because it contains many antifungal properties. More importantly, because turmeric increases immune response while lowering inflammations, your cat is going to recover much faster while also suffering less pain and discomforts. Because we live near some very big trees where there are lots of insects and small animals such as rodents, our cats love to go there. Whenever they have a wound, the first thing I would do is to simply mix half a teaspoon of turmeric powder with two teaspoons of warm water and simply treat the wound with it every day for up to two weeks. In fact, after I’m done, I let my cat lick its wound. Usually, within the first week, our cat is going to feel much better and will recover its mobility very quickly. This is all thanks to the anti-inflammatory compounds found in turmeric powder; they lower pain levels while also containing antibacterial properties which are going to increase immune function while decreasing recovery time. Turmeric can be extremely powerful if your cat is suffering from arthritis since this condition is most often associated with an autoimmune disorder, meaning that the immune system is attacking your cat’s joints. We have already talked about turmeric’s amazing anti-inflammatory benefits, especially its main organic compound, curcumin. The same compound is the one responsible for lowering both pain and degenerative symptoms related to your cat’s arthritis. I’m going to share with you later on how you can use this powerful spice in order to reduce arthritis symptoms in your cat. There are many articles treating of the subject of cats worms, some users have even suggested to use coconut oil, to be completely honest with you, I tend to leave my cats treat themselves because they know what to do. For example, around the house, there are different weed species that our cats enjoy, this seems to clear their intestines off warms completely, and to help them get rid of worms even more, I add a few grams of turmeric to their daily food. Feline stomatitis is a very serious, painful and chronic oral disease that affects cats because of an autoimmune reaction to dental plaque. You can say in that Feline stomatitis is an inflammatory mouth disease. I’m sure that by now, you know that I’m going to refer you to using turmeric as it contains high levels of anti-inflammatory compounds, mainly curcumin. Indeed, scientists at Vanderbilt University noted that curcumin could be very beneficial in reducing the progression of autoimmune diseases in the animals. In this section, we are going to discuss the most appropriate dosage of turmeric to give your cat. To be short, do not exceed a quarter of a teaspoon if you are going to give your cats turmeric once a week, and if your cat is small in size; only give it a quarter of a teaspoon. For daily intake, you can give your cats a quarter of a teaspoon as well, but please, I want you to be careful, and if your cat is suffering from health issues, you need to consult your veterinarian before attempting to do this. One more thing, never give your cat uncooked, raw, turmeric, it’s not going to be highly absorbed by its system. Turmeric is not water soluble, meaning that most of it, if not mixed with a fatty substance, is going to be wasted. The best thing you can do is to boil water with one or two teaspoons of fat, and then add turmeric to it and let everything cool down, then mix it with its food. The last section of this post will show you a fantastic turmeric recipe for your cat. And one more thing, if you would like your cat to be very healthy and strong, then you must avoid giving it junk food; in fact, your cat should be starving a little! This is how nature designed cats to be, they do not eat every day, and they must be active all the time looking for food! Of course, you can’t do this to your cat, this is the reason why you need to give it food only once a day and give it as many opportunities to play and discovery as possible. Again, you need to try this powerful Turmeric Immune System Booster For Cats! Turmeric is fat soluble, so, using it with water will block its absorption and your cat will be throwing most of it out without benefiting from its amazing health properties. Here is one of my favorite turmeric recipes for cats, it has two versions, the first one relies on using a fatty substance, and the second one relies only on water. You may be wondering now about the use of lard! Well, let me tell you that cats are carnivorous, there are many people who recommend using coconut oil or even olive oil, well, these are plant based fats, and cats are carnivorous as I have just mentioned, so, it’s more logical to give them something their bodies are accustomed to digesting, which are animal fats. In a saucepan, bring the turmeric and water to a boil then lower the temperature and let everything simmer until you get a paste, this would usually take about 10 minutes, don’t forget to keep stirring. Add your lard and keep stirring until everything combines perfectly. Simply remove lard from the ingredients and use the same steps as the lard version. This is how I make turmeric paste for my cats, when they are sick or have parasites; I just give them a quarter of a teaspoon every day, with their food, since they are quite large. Your info on tumeric for dogs and cats was so awesome, thank you! My neighbor told me about it and so I am going to pass this on to my daughter. What is the daily dosage of turmeric for a cat? He’s been diagnosed with sarcoma and I want to try him with turmeric. It depends on his weight, if you’re talking about an adult, which is what I presume, then do not exceed a quarter of a teaspoon, of course, mixed with his food, don’t forget to give up canned food and only give him raw meat, one more very important thing, lower the amount of food you give him daily, my friend’s cat survived cancer this way, instead on three or four meals a day, he started giving her only one meal a day, then he noticed she was getting mad at him and he divided them, half in the morning and half in the evening. My cat is picky. Is there a trick to get them to eat it? I tried mixing in wet food. But I just used turmeric powder and pepper. Hi Dorothy, well, mix it with fat, meat far, and hid it inside its food, make sure your cat is a little hungry before giving it to him or her. One more thing, cats are famous to be very picky eaters, so, of course they’ll whine and complain a little, just hold on, soon, it will get accustomed to the taste. You can also start slowly, try to give it a tiny amount at first and then increase it everyday. This works for my cat : 4 teaspoons of spring water, 4 teaspoons of virgin olive oil or coconut oil, 1 teaspoon of turmeric, a pinch of pepper – bring to a boil and remove from stove and cool. Fill a 5 ml ORAL syringe for a 1/8 tsp dose of turmeric – do this two times a day and your cat will have 1/4 tsp dose of turmeric. this recipe is enough for 4 days – I refrigerate it and when I fill the syringe I allow it to come to room temperature. 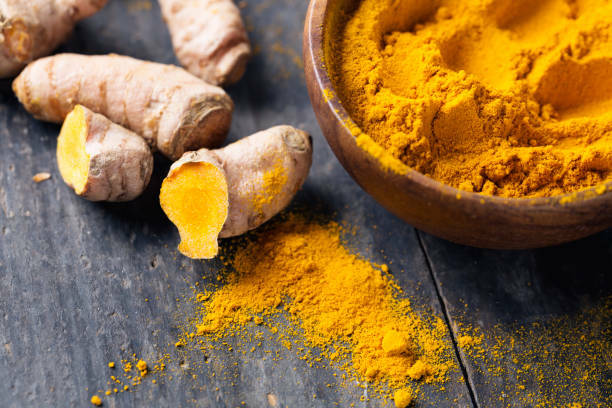 My cat tolerates the taste pretty well with just a little bit of a yuck – this way I know for sure he is actually getting the turmeric. The oil and especially the pepper ups the absorption level. New studies have shown that coconut oil is hard on a cats liver. Lisa, this article: http://www.foodfurlife.com/turmeric–the-golden-paste—unsafe-for-cats.html suggest that you shouldn’t use coconut oil for cats as it can lead to liver problems. Keep in mind that nutrition and health happen at a cellular level. Cats aren’t people even though we often feed them human stuff like grains and vegetables. I use chicken fat because a cat in the wild can kill and eat a chicken, but not a coconut. Thank you, Lisa. My 15 year old cat has just been diagnosed with chondrosacrcoma, which is aggressive. I started her with this today. Black pepper is needed to increase absorption, so yes, it’s important. And yes, stick to this dose although I am strongly inclined to tell you to use more since your cat is a bit large, but please stick to my dose, it’s safer. Thank u.. I apperciate it. I am also wondering if you can use this in conjunction with cannibis oil with thc and cbd . Hiw much pepper needs to be added to the recommended dose? I’m so sorry Bill, I have no idea whether this is OK or not. Thanks Olivia for all the information. My cat was diagnosed with lymphoma 2 years ago. The vet said 3 to 9 months without chemo, and 18 months with chemo. It’s been 2 years and no chemo, but diarrhea each day. Already 10k spent on him. I am going to try the tumeric. If he can live even longer, that would be great. We give him steroids and forta flora daily. B12 shots every 6 weeks. I’m praying this will help him live even longer. Wanted to share our experience in case it helps someone else. Last week, our 16 year old cat was diagnosed with small intestine cancer, kidney stones, and most importantly, large liver cysts that were pushing on her stomach, preventing her from eating. She stopped eating and drinking altogether (thus, the vet visit), and we weren’t sure she was going to last through the weekend. We opted against the surgical option for the cysts and the cancer for a variety of reasons, and thought we would just be making her comfortable for the next couple of days until the inevitable. I am shocked but happy to report that for the time being she has done almost a complete 180. She is eating and drinking again as well as spending time with us again and it is almost as if we have our original cat back. Specifically, I have been using Thorne’s Meriva Soy Free (because I had it from my Lyme disease treatment) and opening the capsules, giving her approx 1/16 tsp mixed w/ warm water 2x/day via syringe. (Straight Tumeric is not advised due to bioavailability issues.) Literally, after 2 doses, she was MUCH better. Yesterday we started with pet-grade Milk Thistle drops found on Chewy.com. She is back to being super squirmy and nervous (i.e. normal for her) which gives us hope. Even if she passes sooner rather than later, the Meriva supplement made a HUGE difference for her quality of life. Maybe this anecdotal evidence will help others who are struggling with the same choices for their cats. The best thing you can do right now is to never give her tuna or fish again, it’s highly polluted, second, try to give her just one meal a day, the hardest part, and please, only red meat. Yes, sprinkle some on her food. Don’t put her down yet, let mother nature help you, just do these and give her lots of hugs, don’t forget to play with her and make her more active. And one more thing, no medicine or supplements. My cat was just diagnosed with squamous cell cancer of the mouth. Vet(s) say he’s too far gone for surgery. Can’t get an appointment with an oncologist until the end of the month. He won’t make it. I have him on meds now to ease his pain. I’ll try anything to help him. Why just the red meat and what kind of red meat? You say raw…not cooked? why. What if he won’t eat the red meat? Do you think there is any hope using the tumeric? Any red meat, beef is good, because cats’ bodies are designed to eat such food more, and raw because it’s in their nature, have you ever seen a cat cook a bird after catching it? If he doesn’t like it, then you should not give him other alternatives, in fact, don’t over feed him, once a day is more than enough. It really depends on his current stat and most importantly, his appetite. My cat has a tumor on her tongue. I have no choice but to give her canned food watered down. I really want to try the turmeric but I don’t know what kind. Do I use raw, organic, powder and where do I buy it? Please give me your best advice . Thank you. Yes, organic is the best, any spice or food store will have ground turmeric. If possible, try to cut her meat into little pieces and then add to it a maximum of a quarter of a teaspoon ground turmeric, then blend everything, red meat of course, no fish or poultry. Also, organic is the best. You say to give 1/4 tsp/day to normal sized cats. Is this of Turmeric and Curcumin? I have been giving about 25mg/day of Curcumin to my cat. Wondering if you would suggest more? No, never use curcumin, it’s synthetic, only give it ground turmeric, of course more, it’s too little in my opinion, how much does it weigh? One of the main uses of turmeric in humans is to assist the pancreas in releasing bile. Would this have the same effect in cats? My cat has been diagnosed with chronic pancreatitis so I’m hoping to use this to help him. I think it may have the same effects on cats.